McWane Ductile Ohio (MDO) reached out to Advanced Gauging Technologies (AGT) in 2016 to inquire about profiling the iron thickness of our ductile cast iron utility poles. MDO manufactures 18 foot tapered pole segments and then, through an assembly process, presses the segments together, yielding the requested full length utility pole. 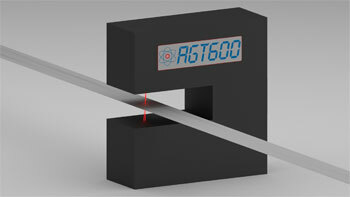 MDO purchased two AGT 800 gauges to measure the thickness throughout the entire length of any given pole segment. Our previous measuring process consisted of using a manual, operator run, ultrasound method, which was much more time consuming and turned out to be much less reliable. The inconsistent data did not give us the ability to fully understand our manufacturing process and conduct meaningful experiments to improve our iron consistency. With AGT’s perseverance we are now able to do just that. We now have the ability to obtain a meaningful thickness profile, and are using the data to conduct experiments to improve our manufacturing process. We are a unique customer. AGT had never measured a tapered cylindrical shape in one of its gauges. AGT was determined to seek a solution for MDO’s unique application; its flexible and customer service was and continues to be excellent. I have worked with Advanced Gauging Technologies for over 15 years and have never been disappointed. AGT’s technical service representatives are truly experts in their field. Their reporting options and user interface are easy to use and extremely accurate. I would recommend AGT to anyone looking to purchase, upgrade or service their gauges. 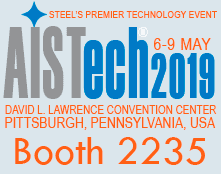 Steel Technologies LLC - Crawfordsville, In. Over the past 20 years, the AGT experience has been a very positive and beneficial one for us, from the first gauge we purchased to our most current order. Their professionalism has never wavered, even through challenging periods in our industry, and has been driven by their uncompromising commitment to excellence. The AGT team has proven to be a truly progressive organization that has always managed to provide innovative products; superior service; and exceptional value. We look forward to another 20 years! We purchased our first AGT400 thickness gauging unit in 1999 and since then we have purchased an additional 3 units for our other processing equipment. Advanced Gauging's product has proven to be reliable, easy to use, and has continually delivered accurate results. In addition, the staff at A.G.T. have been knowledgable and have provided us with uncompromising service throughout the years. Samuel, Son & Company Ltd. I have been an Advanced Gauging Technologies customer since the mid 1980's, and whether it was the semi-annual inspections, service assistance, or the purchase and installation of an AGT400, the interactions with A.G.T. have always been nothing short of professional. The technicians are not only highly trained, but field experienced. Customer service and corresponding documentation has always exceeded expectations. Add to this the component of dealing with individuals that are simply good people who proudly represent their company, and A.G.T. remains not only my preferred vendor, but my only vendor when it comes to gauge monitoring requirements. 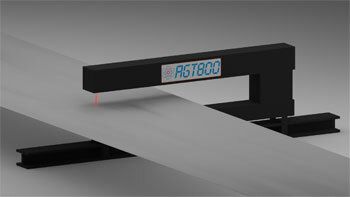 Advanced Gauging Technologies (A.G.T. as we refer to them) is an outstanding supplier to our organization. They are an integral part of the management of our nuclear gauges. A.G.T. is a very special company for a number of reasons, namely they give us a worry free solution to our nuclear gauging requirements. They have an extremely knowledgeable staff who are both courteous and helpful. The gauges they produce are extremely reliable and consistent. If we have an issue, whether it is with another manufactures equipment (bought before we knew about A.G.T. ), or with their own gauge, you can rest assured that they will go above and beyond to try and help us get the gauge up and running in no time, often troubleshooting over the telephone!!! I would recommend them to everyone having a need for gauging products or gauging service. We are an extremely satisfied customer, although we truly feel more like friends. 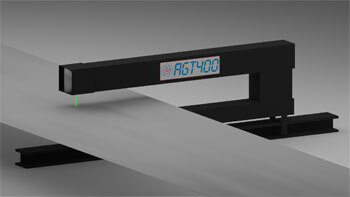 Advanced Gauging has upgraded all three of our obsolete Gamma GR100 Thickness Gauges. The AGT400 thickness gauges are exceptionally stable compared to our old gauges, and their software allows us to automatically download all of the necessary coil data after each coil run. Their support team has always been professional, responsive, and well equipped to handle any service or repair needed.